Located in London (London City Centre), Point A Hotel - Westminster, London is within a 15-minute walk of Imperial War Museum and Coca-Cola London Eye. 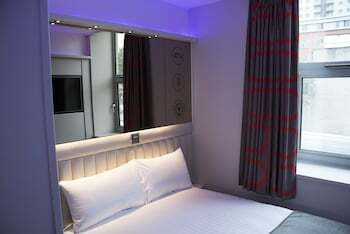 This hotel is 0.5 mi (0.8 km) from Sea Life London Aquarium and 0.6 mi (0.9 km) from Big Ben. 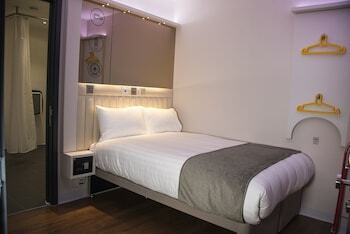 Make yourself at home in one of the 94 air-conditioned rooms featuring flat-screen televisions. Complimentary wireless Internet access is available to keep you connected. Private bathrooms with showers feature complimentary toiletries and hair dryers. Conveniences include safes, and housekeeping is provided on a limited basis. The following fees and deposits are charged by the property at time of service, check-in, or check-out. Early check-in fee: GBP 20.00 (subject to availability) Late check-out fee: GBP 20.00 (subject to availability) Weekly housekeeping provided; additional cleaning fee: GBP 8 per night The above list may not be comprehensive. Fees and deposits may not include tax and are subject to change.